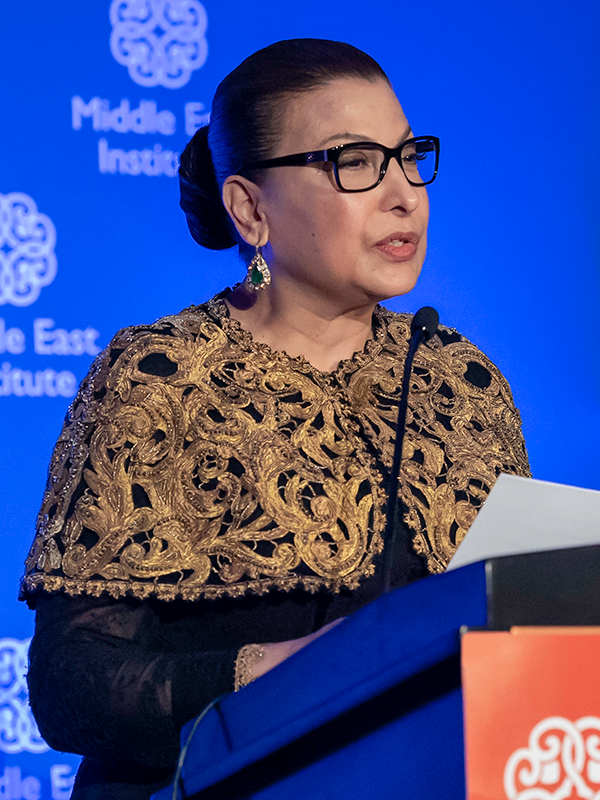 The Middle East Institute's signature annual event honored the region’s top visionaries, changemakers, cultural leaders, and philanthropists for their positive contributions to the political, economic, social and cultural landscape of the Middle East. The 2018 Gala honored H.E. Huda Alkhamis Kanoo, founder of the Abu Dhabi Music and Arts Foundation and the American University of Beirut in a celebration attended by hundreds of top officials, analysts, and business leaders who work on the Middle East. Musician Huda Asfour concluded the evening with two songs from her latest album. AUB was founded to provide excellence in education, to participate in the advancement of knowledge through research, and to serve the peoples of the Middle East and beyond. AUB President Dr. Fadlo Khuri will accept the award. Kanoo is the founder of the Abu Dhabi Music and Arts Foundation, an organization which advocates for the power of music and arts in cross-cultural understanding and seeks to embed music and the arts in the heart of civil society. Clemons is Washington editor-at-large of The Atlantic and editor-in-chief of AtlanticLIVE, the magazine's live events series, in May 2011. Clemons also serves as editor-at-large of Quartz, a digital financial publication owned by Atlantic Media. 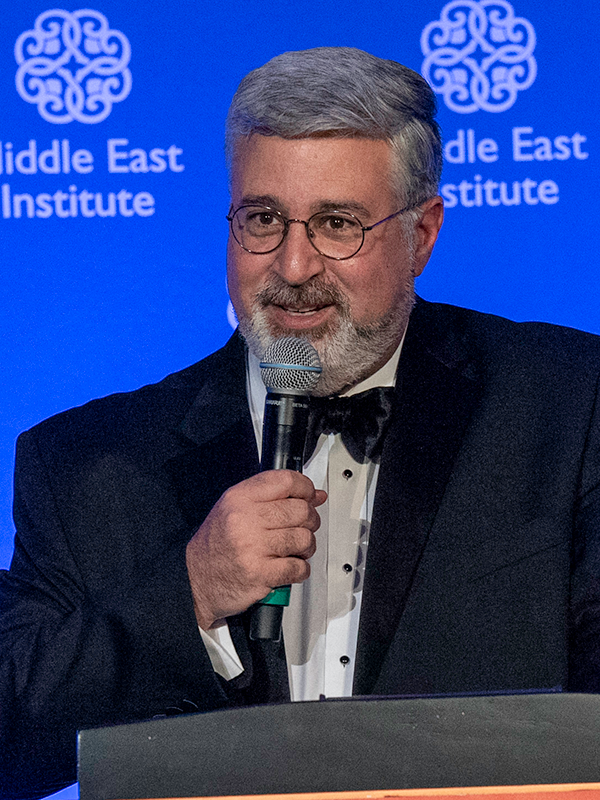 Dr. Paul Salem, named MEI's president in October following the retirement of Amb. Wendy Chamberlin, presented the organization's objectives and priorities for the year ahead. The day after the Gala prominent Middle Eastern and American experts and foreign policy practitioners engaged in panel conversations covering the prevailing challenges facing the region and its partners. Video of the full Annual Conference, including keynote address by Amb. David Hale, is available on our website. 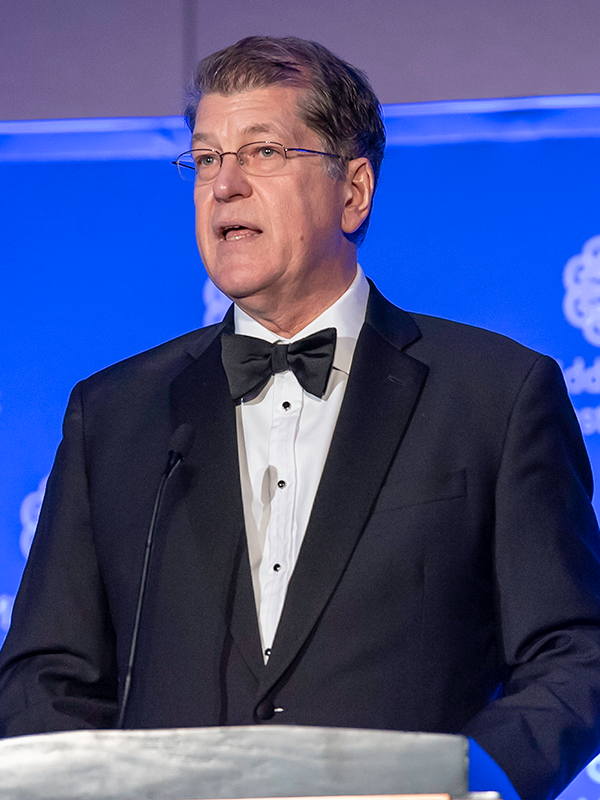 Each year, MEI's Awards Gala provides a unique opportunity to bring hundreds of business, government, NGO, and thought leaders together for one night in celebration of outstanding individuals who are making a meaningful impact in the Middle East. Learn more about MEI's signature event and past awardees by clicking below.